The United States and Britain will offer a new resolution on Iraq to the United Nations Security Council today Monday and the final showdown could come in about two weeks. Such a timetable would clear the decks for war in mid-March, with or without formal Security Council backing for a new resolution. The resolution is expected to be short. It will state that Iraq has not complied with the terms of resolution 1441 and will remind Iraq that 1441 warned that serious consequences would follow. There will be no deadline. Instead the UK and UK are saying that they will call for a vote in about two weeks time. The American position is as determined as ever and the British Government shows no signs of wavering now. Nor do the opponents of war, led by France, Germany and Russia. The British Foreign Secretary, Jack Straw, speaking after a meeting of European Union foreign ministers in Brussels, said that the resolution would state that Iraq had "failed to take its final opportunity to comply." He said that Spain was a co-signatory with the US and UK. Exactly when the decisive moment comes is not yet clear - it will be after a report by Dr Hans Blix to the Council, expected on 7 March. The vote could come in the week of Monday 10 March. It appears that the US and UK want to bring the issue to a conclusion before or perhaps even on the date of 14 March proposed by France for another Security Council meeting. According to British officials, the resolution will be a "fairly simple concept". Countries would know whether they were voting for a war or not. 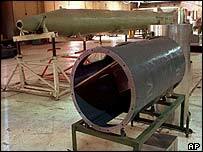 One new test of Iraqi compliance will be its attitude in complying with an order by Dr Blix to destroy its al-Samoud II missiles. He wants the process to start by 1 March. These were declared by Iraq to have gone beyond the 150 kilometres limit in tests, and Dr Blix has found them to be in violation of Security Council rules. Any Iraq resistance to an order to get rid of them will be used against it by Britain and the US. At the same time, France has proposed a new and stricter system of inspections, demonstrating its determination not to give up now. Within the Security Council, the mood seems to be still firmly against going to war. Of the other permanent members, France, Russia and China urge that more time be given for inspections. Among the temporary members, who do not have a veto, Germany goes even further. Chancellor Gerhard Schroeder has declared: "My opposition to war is fundamental." British officials acknowledge that the two sides are not even talking the same language, as was evident when Mr Blair clashed with the chancellor at a European Union summit on Iraq. Mr Schroeder had asked why the inspectors could not be given more time to look around, whereupon Mr Blair said that they were not in Iraq to act as detectives. A lot of heavy diplomatic work is being done by the Americans among the potential swing votes - Bulgaria, Pakistan, Cameroon, Guinea, Angola, Chile and Mexico. Syria would probably oppose a war anyway. Nine of the 15 votes are needed to pass a resolution and there have to be no vetoes from any of the permanent five. If a majority of nine or more approved a new resolution, yet it was vetoed, Britain and the US might claim a "moral majority". However, if a resolution fails even to gain a majority, Mr Blair's pledge only to override an "unreasonable" use of the veto would be hard to sustain. In such circumstances, a veto would not even be necessary. Much will again depend on what the inspectors say. If they are broadly neutral, as they were last time, giving Iraq some good and bad marks, then it is unlikely that opinion in the Security Council will swing behind the US and Britain. 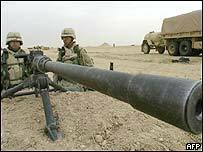 If, however, the inspectors say that Iraq is causing problems, the American and British task will be made easier. Either way, the path to be trod is now a short one. The diplomatic timetable is being squeezed to fit into the military one. The fact is that the troops will not be in position before March, but the fact also is that they cannot stay in the region indefinitely.